In order to access these free-of-cost publications, we kindly request you sign up to Jo Key's newsletter. You'll receive special members-only access to all her publications as well as an e-newletters whenever new one become available. After sign up you'll receive an e-mail with your own unique username and password. 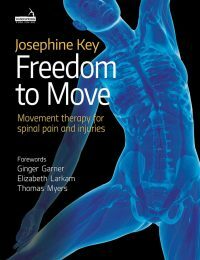 A practical guide for physiotherapists, pilates, yoga and integrated movement therapists to assist in the more appropriate rehabilitation of people with spinal pain disorders. Informed by the evidence, it presents a model of movement dysfunction common to this population – and in response to this offers the fundamental patterns of control which are commonly deficient. The focus is on restoring natural patterns of functional movement and helping the client move out of pain. 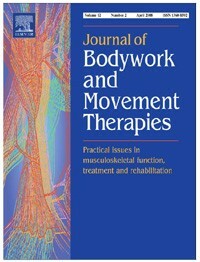 A clinical approach incorporating relevant research and practice. 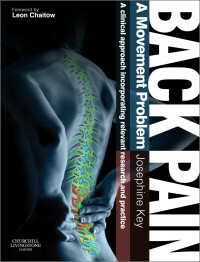 This book is a practical manual to assist all students and clinicians concerned with the evaluation, diagnosis and management of the movement related problems seen in those with spinal pain disorders. Published by Churchill Livingstone/Elsevier, Edinburgh, 2010. “Core stability training” is popular in both the therapeutic and fitness industries but what is actually meant and understood by this concept? This paper examines the landscape of ‘the core’ and its control from both a clinical and research perspective. How does the busy clinician both distil and integrate the increasingly robust evidence base into effective clinical practice? 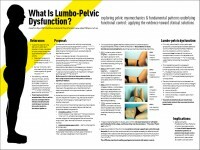 Poster presented at Fascia Research III Congress Vancouver 2012. Despite the popularity of rehabilitating ‘the core’ in both the therapeutic and fitness industries, the patterns of functional and structural change have been little described.